Add a colorful splash to favors and gifts with this 1/8" Organza Mono Ribbon in Orange. Perfect for Halloween treat bags, fall festivals, cards, and gifts, the shimmering texture of this Organza ribbon will make any occasion more festive. 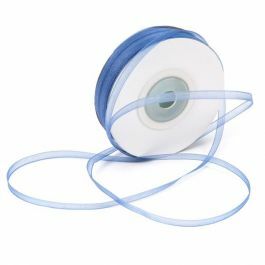 50 yards per spool. 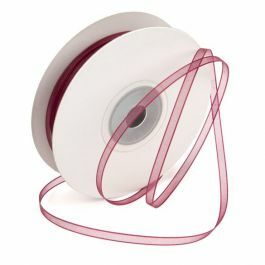 Organza ribbon is a great way to dress up gifts, favors, and events. The RIB8ORG is our Orange Mono Ribbon with a 1/8" width. This thin mono-style ribbon in a festive orange color is ideal for Halloween treat bags, fall festivals, invitations, and decorations. 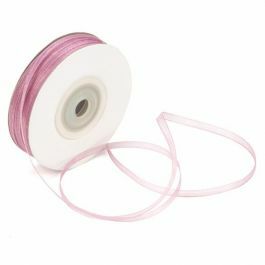 The ribbon is made of 100% nylon woven sheer material and is designed with a shimmering fabric and a satin-edged trim. Tie up cards, gusset bags, candy boxes, and more. 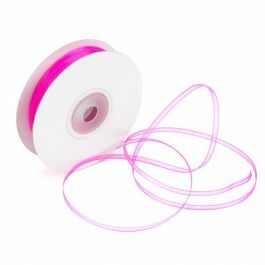 The primary use of RIB8ORG Organza ribbon is to decorate gifts or tie up favor bags.